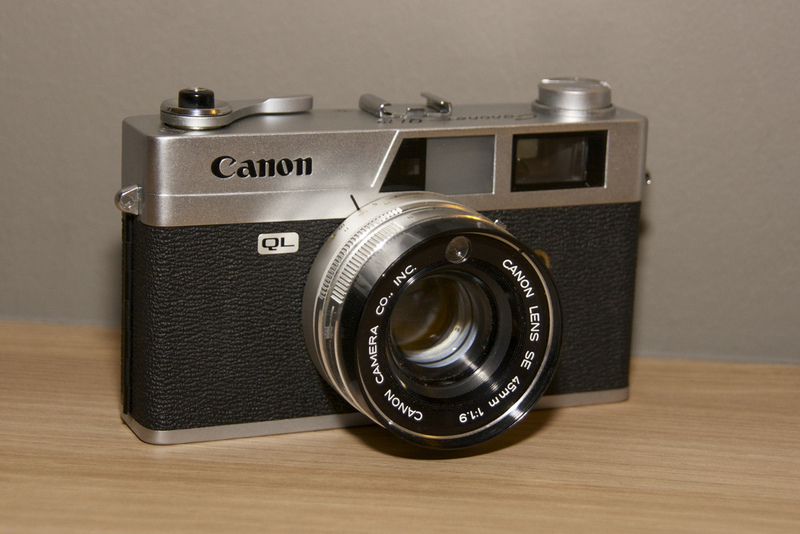 The Canon QL range was introduced in March 1965 as a development of the Canonet. These are 35mm rangefinder cameras with shutter priority CdS-meter controlled auto exposure and manual override. Each is fitted with the Canon QL quick film loading system. The QL19 had a 45mm f/1.9 lens, set in Copal SV shutters with speeds from 1/4-1/500s.